Tricity Veterinary Hospital is proud to serve the Fremont CA area for everything pet related. TriCity Veterinary Hospital is a full-service Fremont veterinary clinic providing high quality vet services in Fremont and the Tri-Cities surrounding area to include: Union City, Newark, Hayward, San Leandro, Milpitas, Oakland, San Jose, Palo Alto, and throughout the Bay Area and Central valley. After having worked for over 26 years in the veterinary field, Dr Raj Salwan founded Fremont's TriCity Veterinary Hospital. Since then, we have become known as the premier veterinary hospital for high quality compassionate care, friendliness, and professionalism of our staff as well as our fully-equipped, state-of-the-art facility. As TriCity Veterinary Hospital continues to grow our leadership in the bay area, we are becoming the premier provider of high quality veterinary services in the Tri-City area.The cornerstone of our success and desire is to provide your pet with the best that modern veterinary care has to offer is our belief in comprehensive preventative care. Without a doubt, preventing illness is the best means to protect your pet’s wellbeing as well as to minimize the lifetime cost of care. This is why thorough wellness exams are a standard piece of care we offer. We also recommend a balanced vaccination plan, behavior and nutritional counseling, microchip lost pet ID, dental care, and other important prevention methods. 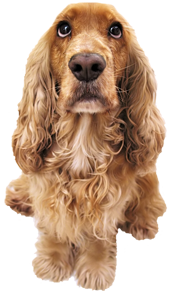 When you come in for an appointment at our full service Fremont CA vet clinic, you will also receive important home healthcare advice as well as new information and recommendations for the care of your particular type and breed of pet. Our clients will also see how our state-of-the-art lab and pharmacy complement our wellness care services and are a convenient and cost-effective service for you and your pet. We also realize that even the healthiest of pets experience illness or perhaps an injury at some point. Onsite diagnostic imaging tools, such as ultrasound and digital X-rays, help us quickly see into the body in order to make faster diagnosis with less testing and stress on the patient and expense to the owner. If surgery is necessary, TriCity Veterinary Hospital carries a complete surgical suite in order to provide the highest quality of care with the most compassionate approach. We also tailor anesthesia and pain management to each pet, thereby reducing the amount required to alleviate pain and safely anesthetize your pet. In all, we are committed to providing local Fremont area vet services that are affordable and comprehensive in an environment that is friendly and welcoming to both you and your pet. Look around our website and come in for a visit at our conveniently-located Fremont animal hospital location, so we can show you how we can help support your companion’s health and happiness. Our team is committed to educating our clients in how to keep your pets healthy year round, with good nutrition and exercise. Tricity Veterinary Hospital stays on top of the latest advances in veterinarian technology and above all, remembers that all animals and pets need to be treated with loving care in every check-up, procedure, or surgery.